OMEGA Very Stubby Length High Speed Steel Threaded Shank Adapter Drills are designed to NAS965-B specs. OMEGA Threaded Shank Adapter Drills are widely used in the aerospace industry and facilitate access to space-restricted areas unsuited for standard chuck-type drills. OMEGA Threaded Shank Adapter Drills are designed to be used with a host of angle-drills and offset drills and feature 135° split points. The OMEGA 1064HSVST 5/32'' Very Stubby Length High Speed Steel Threaded Shank Adapter Drills is one of thousands of quality tooling products available from MRO Tools. Please browse Cobalt And High Speed Steel, Very Stubby Length Threaded Shank Adapter Drills, NAS965-D for tools similar to the OMEGA 1064HSVST 5/32'' Very Stubby Length High Speed Steel Threaded Shank Adapter Drills. 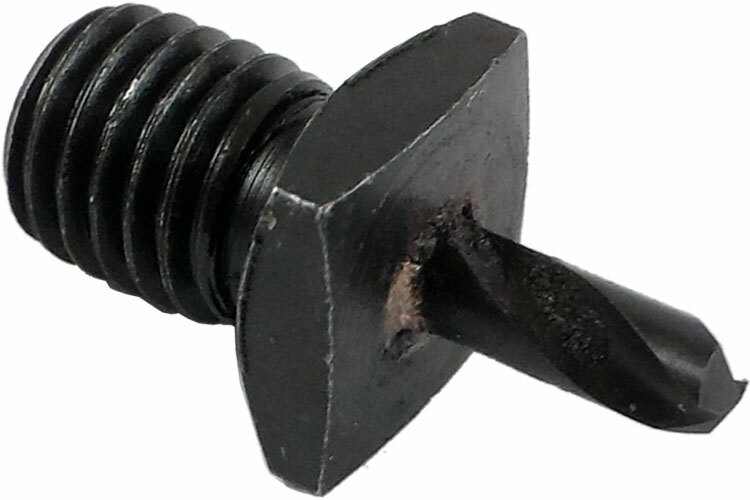 OMEGA 1064HSVST 5/32'' Very Stubby Length High Speed Steel Threaded Shank Adapter Drills description summary: OMEGA High speed steel, very stubby length, uncleared, threaded shank adapter drills, NAS965-B. Size: 5/32'' Quantity discounts may be available for the OMEGA 1064HSVST 5/32'' Very Stubby Length High Speed Steel Threaded Shank Adapter Drills. Please contact MRO Tools for details.